Working on your side hustle? where food and drink professionals find jobs fast. Restaurant turnover in the US is higher than 70 percent and sudden quits account for more than 50 percent of all quits. We've built a search tool that helps more than 14 million service professionals connect to the food and drink establishments they love easier and faster.  By offering "instant hire-instant pay," life scheduling, bi-directional reviews, and plunge profiles, we're reinventing the traditional interviewing and hiring process. 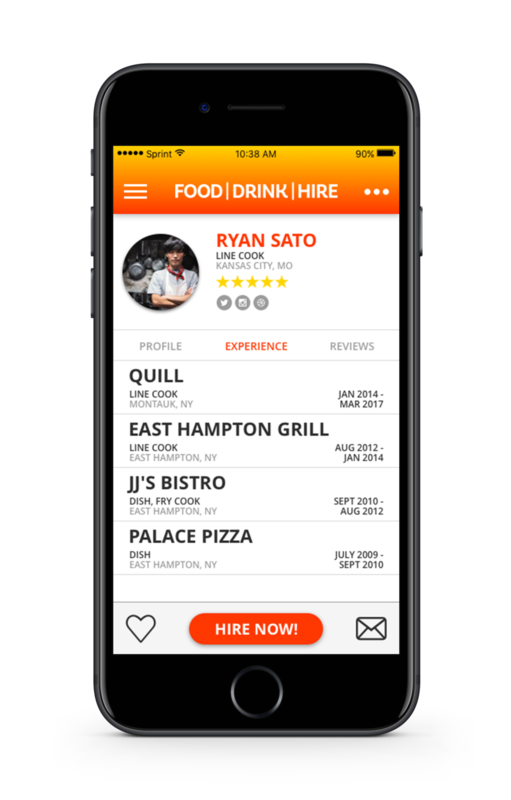 Let's celebrate those looking for their side hustle while making the hiring process easier and faster on food and drink establishments. Imagine your favorite restaurant operating on a Saturday night without a dish person. Now imagine them without a food runner or delivery driver. Sudden quits are a huge problem in our industry and often cause a negative domino effect within the restaurant and irreparable public reviews. 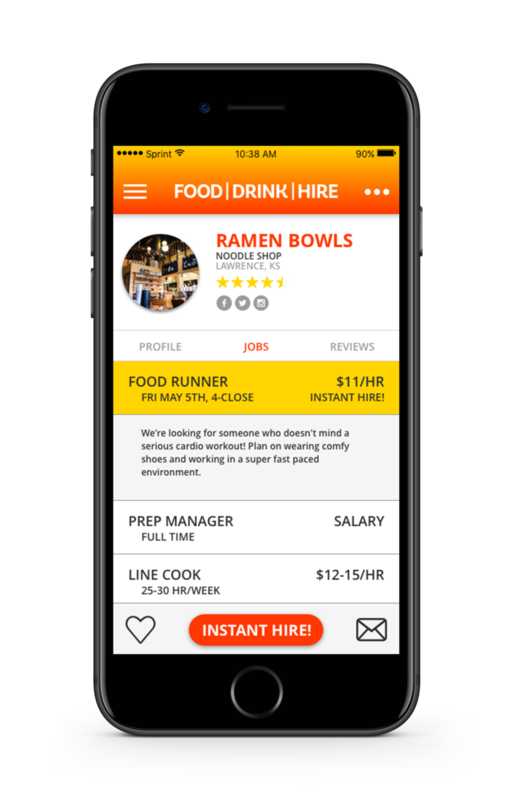 Our "instant hire-instant pay" feature allows a food establishment the unique opportunity to schedule an alert for an "immediate open position" and make an instant connection to an available job seeker looking for some extra cash. Traditional job-search sites don't work for us. They're career oriented and they completely leave out a huge part of the world that isn't "settling" for part-time restaurant jobs, but building their lives around them on purpose. More than half of my employees are part-timers who work at my noodle shop for two reasons: money and flexibility. Our industry needs a space of its own that acknowledges our unique spectrum of jobs—where chefs and bartenders can explore their acquired skills, and delivery drivers and servers can take control of their own creative lives. The "instant hire" function will completely revolutionize what I do for a living. Seems like I'm always justifying why I work in restaurants, but I love to travel, and working in the front of house gives me the chance to work fast and earn far more income than I would in a regular 9-5 job for someone my age. Starting over in each new city is tough, so having an app that lets me look inside the restaurant and see who's working there, and how former employees felt about working there, is a huge win! Our industry has changed so drastically over the last two decades. Coffee isn't just coffee anymore. Beer is craft beer. And food is art and entertainment. So the fact that we're still angry about the high turnover rate instead of figuring out how to embrace it is crazy to me. People can be both professional and part time. There are more than 14 Million food service workers in the US. Be a part of a team that revolutionizes our industry from the inside out. Become a friend. or a bandmate.